The family is unable to bear the ignominy, insult and social boycott by relatives and the community over the father having married a Muslim girl 28 years ago. 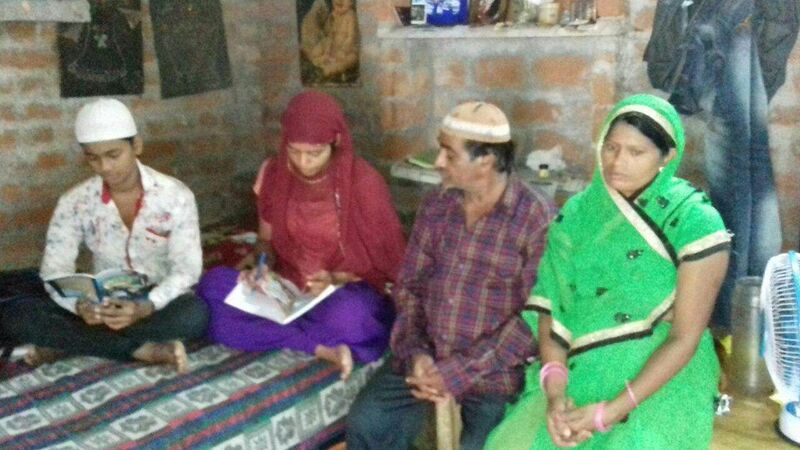 BHOPAL: Unable to bear the ignominy, insult and social boycott by relatives and the community over their father having married a Muslim girl 28 years ago, a Hindu family of five has allegedly embraced Islam in Chhatarpur district of Madhya Pradesh. The family headed by Vinod Prakash Khare and mother Bina Khare (Shah Bano before marriage) and three children, including a young girl and two teenage sons, allegedly embraced Islam in Rajnagar area of Chhatarpur on Monday. With Vinod Prakash Khare submitting an affidavit about voluntarily embracing Islam due to years of ignominy and insult over his love marriage to Bina Khare 28 years ago, the district administration has expressed its inability to intervene in the matter. The family hails from the Hindu Kayastha caste. While Vinod Prakash Khare has changed his name to Ghulam Mohammad (45), wife Bina Khare has regained her original name Shah Bano, while daughter Ekta is now called Fatima, and two sons - Aman and Suraj - have been rechristened as Aman Mohammad and Mohd Aftab, respectively. “We’ve been tortured both mentally and physically. I, my wife and children have faced unimaginable insult and torture from our own relatives and community. No one is ready to support my family and even marry my children, particularly my daughter who is of marriageable age now. My wife’s family had also cut all ties with her due to her marriage with me. But her kin finally agreed to support us and take care of the future of our children, if we adopted their religion,” Vinod Prakash Khare told journalists in Chhatarpur. His graduate daughter Ekta broke into tears while narrating the pain and agony that they have faced for years. “We were never invited for any auspicious occasion or even deaths in my father’s family or among close relatives. Even when my grandfather died, my father was not allowed to carry his mortal remains. When he placed money and flowers on his father’s mortal remains, it was thrown in a drain by his family,” said Ekta. “People often cast aspersions on my mother’s character, despite her having wedded my father the Hindu way. No one is ready to marry me. People either ask for dowry or want me to leave my parents first before they are ready to marry their son to me. My brother wants to study engineering, but no one is ready to support him. We are living the life of pariahs,” said Ekta. She added that after coming to know about the family’s decision to embrace Islam, some people from saffron outfits met the family. “They promised to get my younger brother a job that would get him an income of `5,000, marry him with a girl from Odisha in future. But all of these were just hollow promises and they never returned,” she charged. The girl alleged that a neighbour hailing from the Jain community has been regularly insulting them, but even the police have not helped the family, despite complaints. “The police say our neighbour has links with BJP leaders and so nothing can be done for us,” said Ekta. 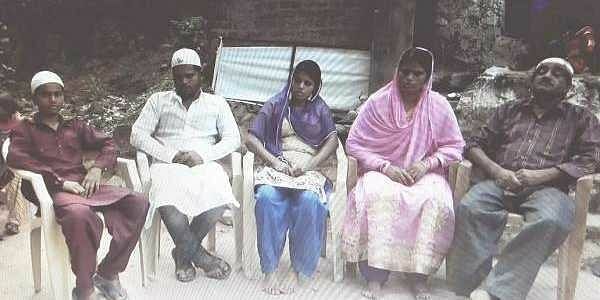 When contacted over phone, Chhatarpur district VHP leader Anupam Gupta denied that the family had embraced Islam. "Some vested interests were spreading rumours and no one can change his/her religion just by signing an affidavit. We’ll ensure that the Hindu family doesn’t embrace another religion. We’ll soon meet them and address all their woes,” Gupta said. He also denied that anyone linked to the BJP or any saffron outfit was troubling the family.